After the most awful night from Miss Tilly, where she was up most of the night having a right old tantrum, i am exhausted before the day has even started. I really dont think i signed up for this part of motherhood - someone wrote a clause in the smallprint didnt they, damn that always catches me out. So half way through doing the biggest pile of laundry there is a knock on the door and its the postman holding a large parcel for me. 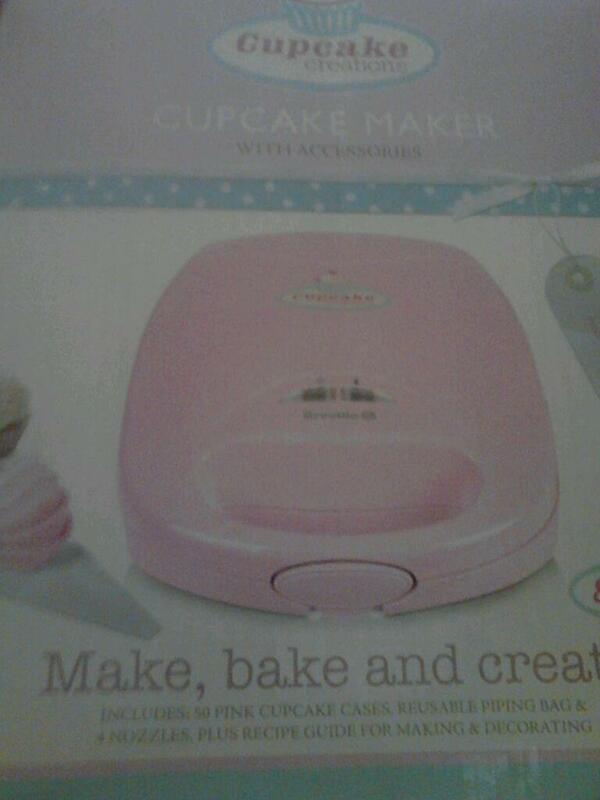 In excitement we rip it open and there is a Breville cupcake maker in the cutest pink colour. Kimmy is absolutely smitten with it and i cant get a look in lol. I have managed to wrestle it back and i will make some cakes in the next few days and we will review the Cupcake maker.